Social media has become a powerful marketing tool and is essential to just about any sites success online. It has taken the concept of word of mouth and digitized and amplified into one of the most rewarding free traffic drivers available today. Social media metrics have become more and more important to the modern marketer and gathering data on how content performs on social is key to improving your presence on these platforms. However, In recent months Twitter, LinkedIn and Google+ have altered their API's to remove the share counter, and you can no longer request the data from them to display on your site. So how do you know what content is popular and on which channels? By using social tracking of course. Fortunately, there are 3rd party social sharing apps that capture this data on their server and store it for you but you are then tied to that platform, and these are more often than not, paid services. 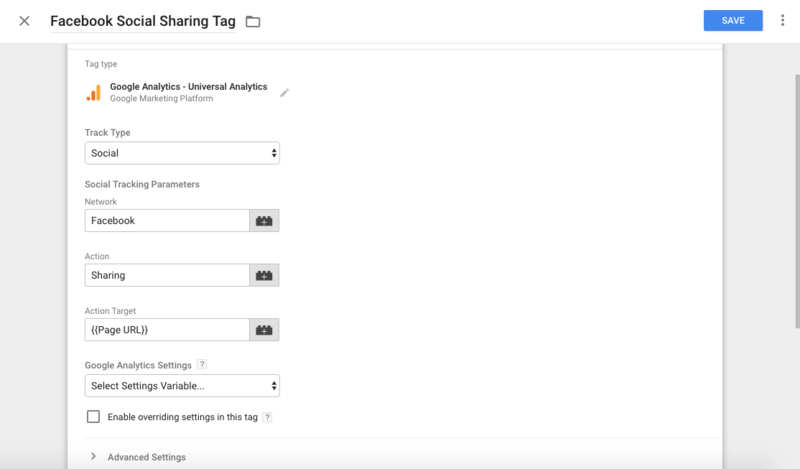 If you're not too concerned about having your shares displayed publicly on your site or just want more insight into what content is being shared then setting up your social tracking reports in Google analytics is a must. If you're using Google Analytics Universal on your site you're running custom social interaction buttons you can add on click event tracking to each of your elements. Add the following code to each of your elements and update with the relevant social media channel and action. socialAction text yes The type of action that happens (e.g. Like, Send, Tweet). Note: By default, Google Analytics provides integrated reporting for the +1 Button. This means if you have implemented analytics.js and a +1 Button on the same page, all +1 interactions will be automatically reported as social interactions via each of the trackers on the page. There is a range of social plugins available that can do the job, but my personal favourite is Shareaholic. It's available as a WordPress plugin or as a tag template in Google Tag manager. Follow the installation details and get your Shareaholic ID. If you're not keen on injecting 3rd party scripts on your site and you're running GTM then you can create your own custom tag. You will need to first set up an click tracker on each element you want to track. Once you've set up a trigger and then create a Google Analytics Universal tag. Once you have your reporting set up and would like to start reviewing your data. You should now have access to 6 new reports based on your site users social media activity. While social media reporting is available in Google Analytics, it is not enabled by default so you will have to do some research on how to set it up correctly for your website. Once it's set up correctly, you will have access to a wealth of data particularly if you're site relies heavily on social media as a source of traffic. In my personal opinion, this is one of my favourite reports to get up since it gives you great insights into traffic from dark social (Non tracked social media traffic) which is usually attributed to direct traffic.